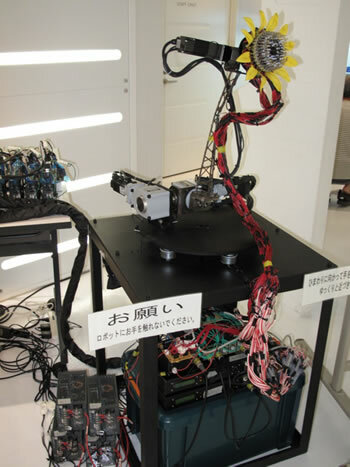 "Here's a still picture that shows the sunflower robot plus its support technology. "Don't forget Niven's "Sunflowers" that have mirror surfaces on their petals, and work together to incinerate intruders." "Ahhh... I see that I don't have the Slaver Sunflowers in my index. Very striking idea from Niven - the ultimate in competitive vegetation."